The Days of Johann, an agility dog! : Luna Moth - how precious, how rare! Luna Moth - how precious, how rare! 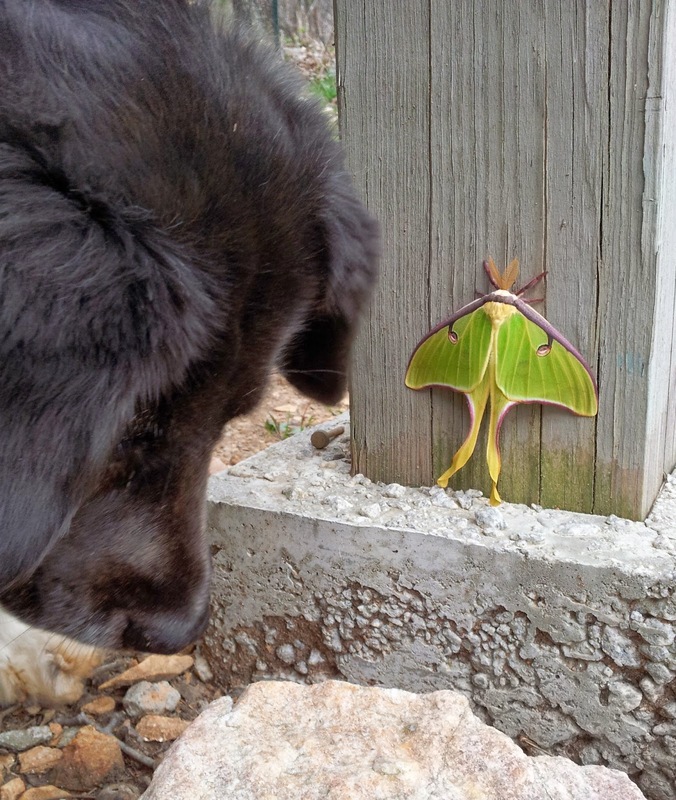 Not too long ago we were delighted to see another Luna Moth! This one was very different than the one we found on our fence last year, as this one was newly emerged and very much alive and beautiful! They are even more beautiful at this stage of their life cycle. Last year, we found a beautiful caterpillar, and then were able to see the adult just as it's life cycle was winding down, which is only about a week. At that stage they are very pale, a super contrast to the pow color in the early stages like this one. We found this one on the pillar that holds up our back deck. Wow, just wow! He's gorgeous! Gracie and I didn't really have any use for him (it's a him, as you can tell by the super fluffy antennae). The next morning he was gone, and off to mate, have more little caterpillars and start the cycle all over again. Wow! 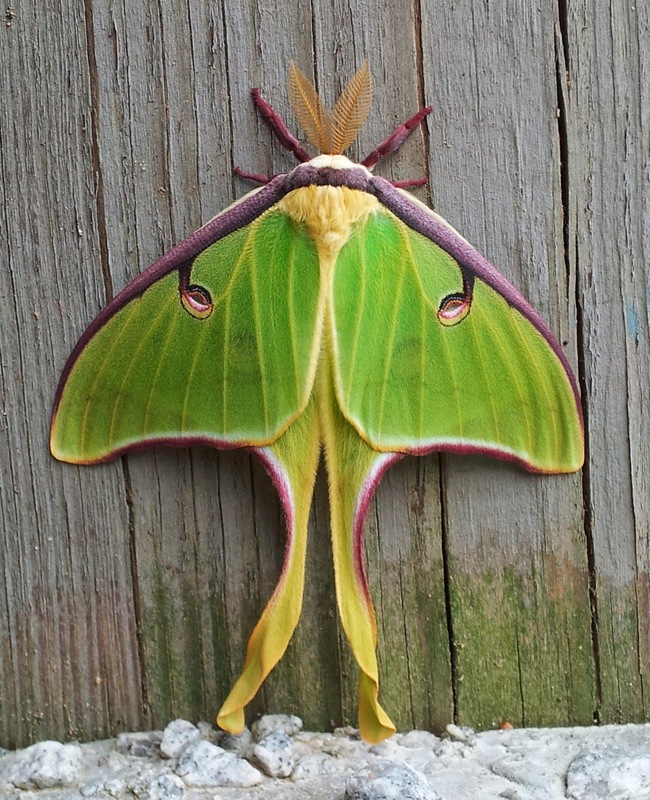 The Luna moth is just gorgeous, Johann!